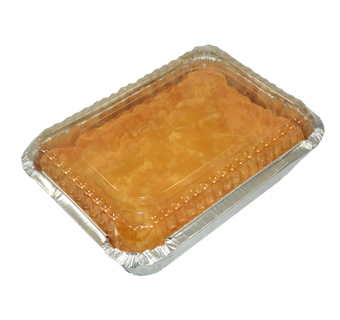 Prairie City Bakery welcomes the 10oz Pan style to the Ooey Gooey Butter cake family-- just right for take-home occasions. This decadent treat originated from St. Louis and is made of two layers. The bottom layer is a delicious buttery yellow cake and the top layer is a rich mixture of cream cheese, sugar and egg.